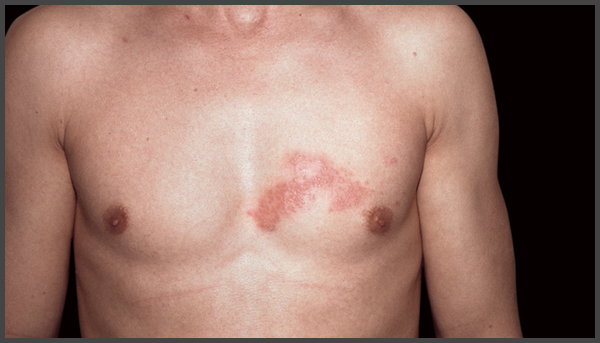 The appearance of shingles symptoms on the chest like in the picture means the reactivation of the latent (dormant or sleeping) varicella-zoster virus and, in fact, the exacerbation of the disease. 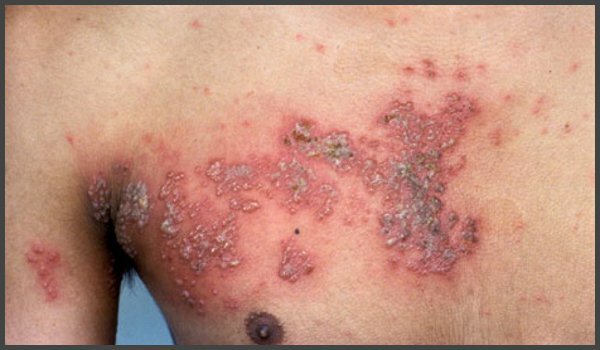 In its latent form the varicella-zoster virus which causes shingles is stored in the cells of the nervous system. The activation of the virus leads to the release of the virus from the cells. The virus reaches the skin surface causing skin infection. 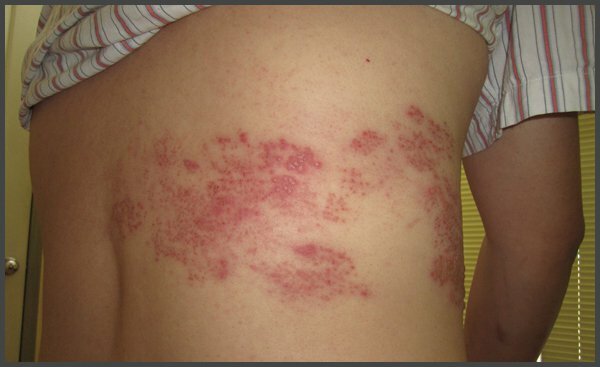 The rash is accompanied by severe itching and painful sensation. Other symptoms are also possible.